Lankan envoy to Saudi not recalled? Sri Lanka’s Ambassador to the Kingdom of Saudi Arabia is still serving in the Arab state, despite the government stating that it has recalled its envoy to protest the execution of Rizana Nafeek in the country, the foreign ministry said. The Sri Lankan ambassador to Saudi Arabia, Ahamed Javad has not been recalled and is still serving in that post, a spokesman for the Ministry of External Affairs said. The ministry further said that no decision has been taken yet to recall him or to replace him. 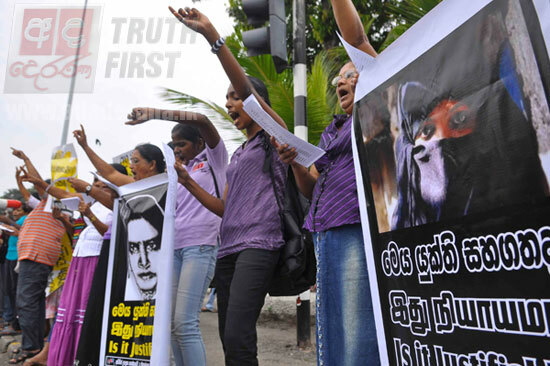 The government last Thursday (10) announced its decision to recall its envoy to Saudi Arabia after the execution of the Sri Lankan housemaid over the death of an infant in her care in 2005. Rizana Nafeek was beheaded in the town of Dawadmy, near the capital Riyadh, on January 09 morning after being sentenced to death in 2007. She was accused by her Saudi employer of killing his infant daughter while she was bottle-feeding. The Sri Lankan government appealed against the death penalty but the Saudi Supreme Court upheld the sentence in 2010. It was reported that the infant’s mother had rejected a request to forgive the maid, which is the most important criteria in considering the release of a murderer in Saudi Arabia. Meanwhile it has been reported that the mother of Rizana Nafeek has rejected offers of cash from the Saudi government or Saudi well-wishers. “I will not accept any gifts from the Saudis or the Saudi government which murdered my daughter,” Rizana Nafeek’s mother, Saiyadu Farina, was quoted as saying by a local newspaper on Friday (18). The report stated that she has received cash offers exceeding two million rupees ($16,000) following the execution. The impoverished family lives in a make-shift home in the eastern village of Muttur.